We all know how hard it is to find space for P.O.S and Advertising! 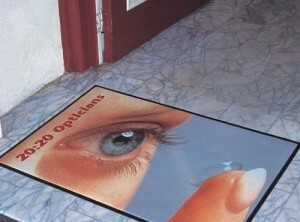 At last a product that has been specifically designed to utilize the final frontier of advertising – “The Floor”. Unlike other floor advertising mediums that require sticking down, then removing, leaving unsightly marks on the floor, Mat-Talk Advertising is totally flexible allowing you to pick it up, and move it around, “NO GLUE” “NO MARKS” and the freedom to reposition with the product as and when you want, ensuring the crucial link between your ad campaign and the product is maintained.